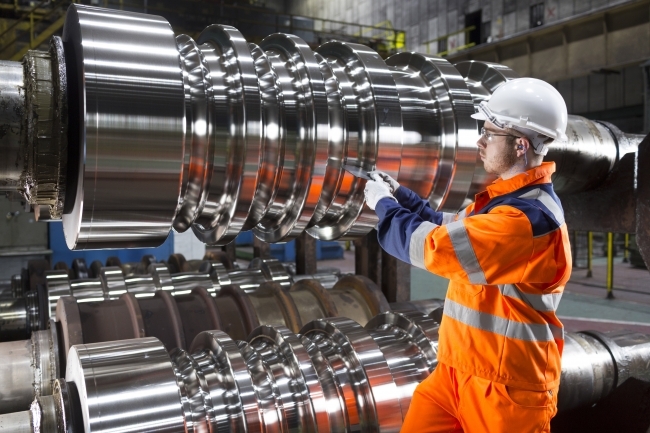 British Steel has announced the biggest single investment in its manufacturing operations for a decade with a £50 million scheme to upgrade its wire rod business. The investment will significantly improve the quality and range of wire rod produced at the company’s headquarters in Scunthorpe, England, enabling it to grow in current markets and enter new ones­ – inside and outside the UK. The new facility will allow for a wider range of sizes (up to 28mm) with tighter tolerances to be achieved, as well as allowing for improvements in surface condition and microstructural properties. The expenditure is in addition to the £120 million British Steel has already committed to capital projects during its first three years of business and comes eight months after it bought FNsteel, a premium wire rod manufacturer in The Netherlands. Paul Martin, British Steel Deputy CEO, said: “This is a major investment in the future of our business, underpinning our commitment to providing customers with higher technical specifications of steel and a diverse, premium product range. The investment will see a new modern wire rod line, designed and installed in the current mill by Primetals. Work is scheduled to start this Summer and the new operation is set to be commissioned in Autumn 2019. New laboratories have just opened, ensuring the mill has world-class testing facilities. The existing wire rod business, which employs 300 people, will operate as normal throughout the installation. Paul added: “The mill upgrade will ensure the British Steel name remains synonymous with quality, innovation and product development. Our wire rod business has a growing order book and this investment will let us build on this by guaranteeing the tighter tolerances and improved surface qualities customers demand, particularly in the automotive sector. British Steel wire rod goes into thousands of different applications including tyre cord, bed springs, oil rig moorings and bridge cables. It’s also used in paper clips, nuts and bolts, car springs and muselets – the small wire cages around Champagne corks. Richard Sims, British Steel Managing Director Wire Rod, concluded: “Our wire rod performs an essential role in letting people go about their everyday lives, from the car or bus they travel to work in to the bed they sleep in at night. It’s one of the most diverse products available so this investment will not only deliver significant improvements to our customers but to hundreds of millions of end-users.